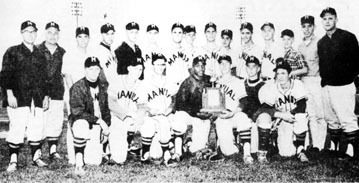 A key contributor for the United States squad that defeated Brazil in the 1960 Olympics title game for the gold medal at Rome, this two-time Big Eight Conference Player of the Year at Kansas State joined the Peoria Cats of the National Industrial Basketball League in 1959. 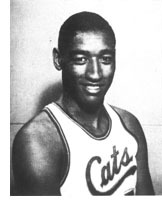 The 6-foot-8 Boozer scored 108 points and had 45 rebounds for the champion Cats in the 1960 Amateur Athletic Union Tournament at Denver to earn Most Valuable Player honors. After setting a single-season record for a Cats player with 703 points, Boozer scored an AAU-record 33 for Peoria in the tournament opener against the Chicago Jamaco Saints. He finished the post-season (including Olympic Trials) with 162 points in seven games for the Cats. Boozer went on to play with seven different teams in the National Basketball Association, with 12,964 career points and 7,119 rebounds. He was a starter in the 1968 NBA AllStar game.